Since Dynomite left we have been, well, busy. Unfortunately it’s the kind of mundane busy that’s not really worth writing about for fear of boring you all into a prolonged coma, a list of jobs and tasks the length of my arm which no sooner have you crossed one thing off another thing leaps on with such pure determination that it seems impolite to leave it off. So sitting quietly at my desk, for perhaps the first time in a very very long time, I have been working my way through the list. This has of course left me with a rather large gap in the blog. The garden on the other hand, has also been busy, pumping out tomatoes at such a rate of knots I do my best to try to collect them all before they fall to the ground. To date we have had over 900 tomatoes ranging in sizes from that of your thumbnail to that of a golf ball. With so many arriving so quickly I have taken to sun drying them. My garden table doubles as a drying rack and given that we are blessed with such strong sun it seems only right to put it to use. So far I have made at least ten large jars of sun-dried tomatoes, I say at least as I have started to give them away - it’s a shame to squirrel them all away. I also embarked on an experiment on Saturday. 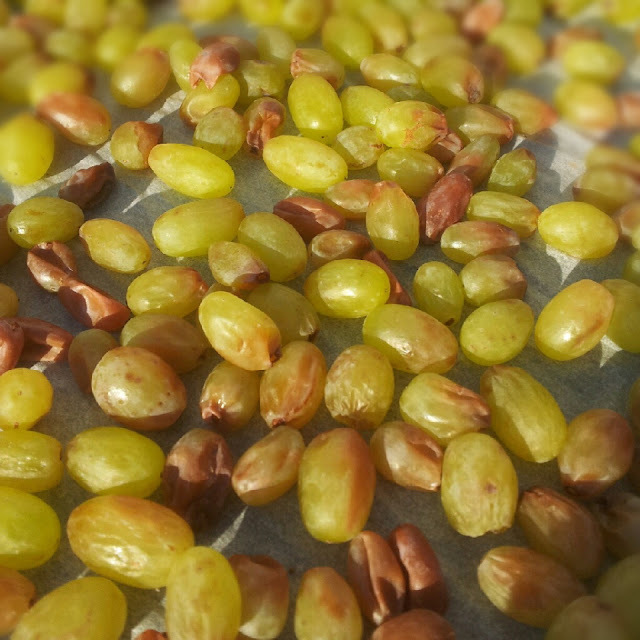 I was given a large bag of grapes, I like grapes a lot but I struggle to eat as many kilos as I either buy or am given (or a bit of both) so I thought that I would try making raisins. Sitia was once famous for its raisins so I thought I would try to rekindle the flame. 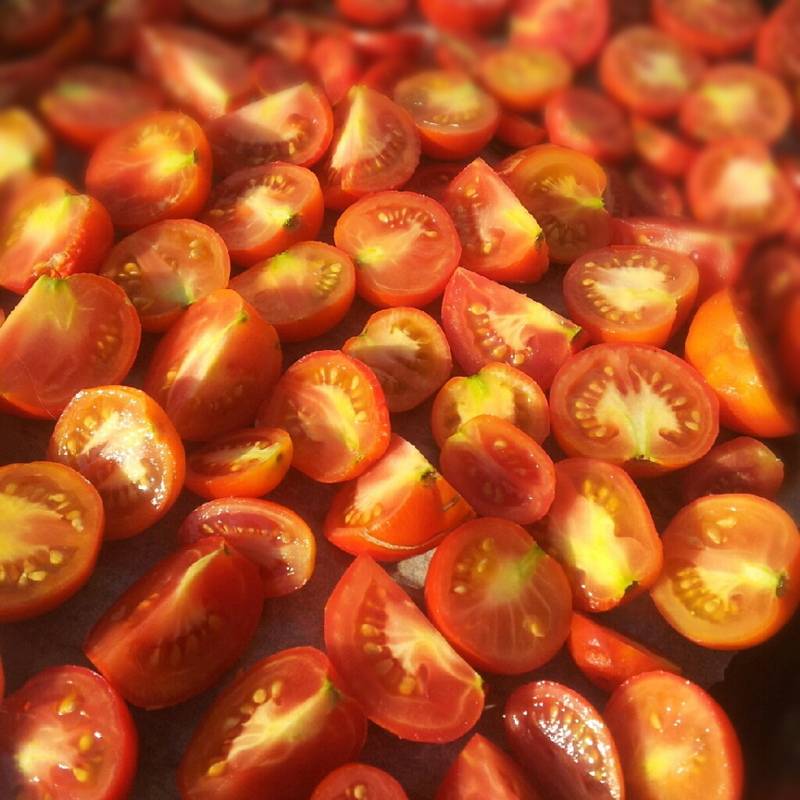 Going down the same theory of tomatoes – which seems to work - I have added them to the drying table … currently they are going from green to brown and starting to wrinkle, we will have to see how it works out. My other weekend experiment was drying herbs. A while ago I planted basil, mint, coriander, parsley and some chives. The basil has grown so fast that it has been turned into all sorts of things - mainly large quantities of pesto. 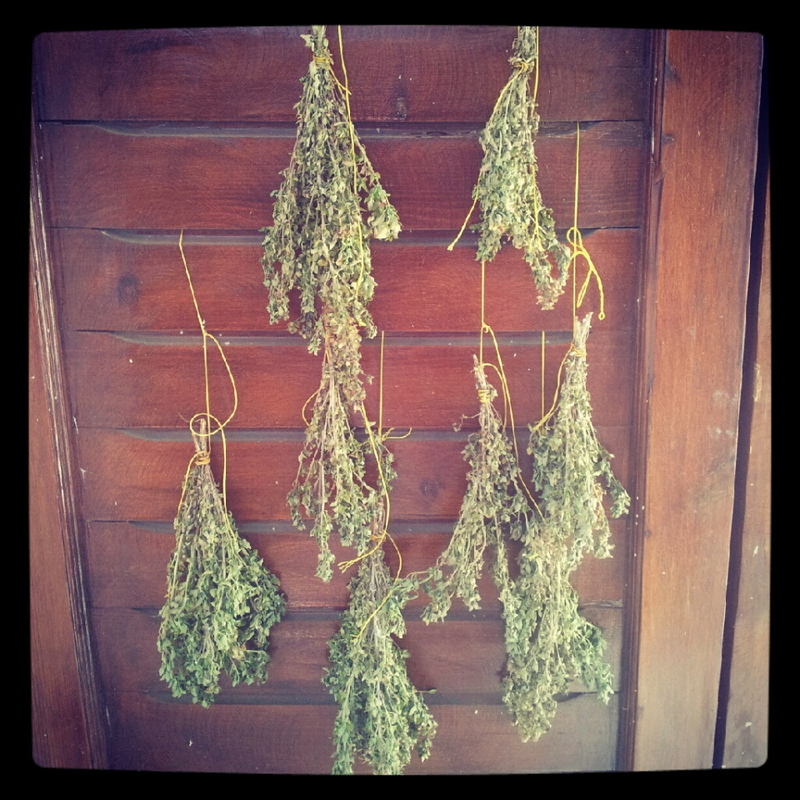 But the basil I decided to dry is what I was told is the Greek version. Its leaves are somewhat smaller than that of common basil. 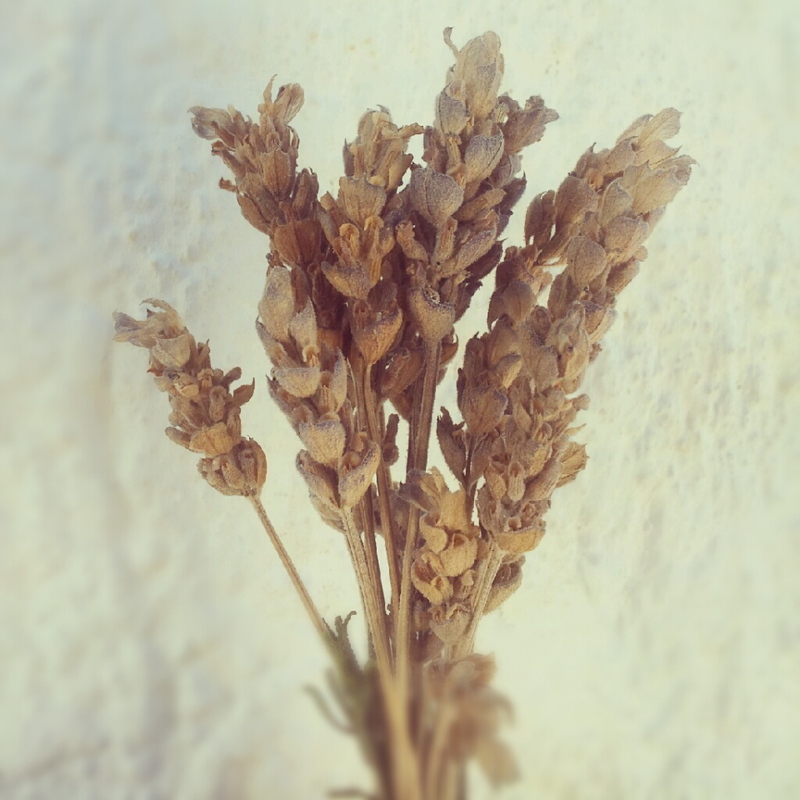 The plant which I have was, when it was given to me, about the size of a small bread roll. When I put in into a new pot and gave it a new home it grew prolifically, which was brilliant, only it grew so fast than I couldn’t keep up with it so the leaves became too heavy for the stalks to support and it started to fall over. As we are in a recession I thought I should dry them out and so cut the stalks down and tied them up. 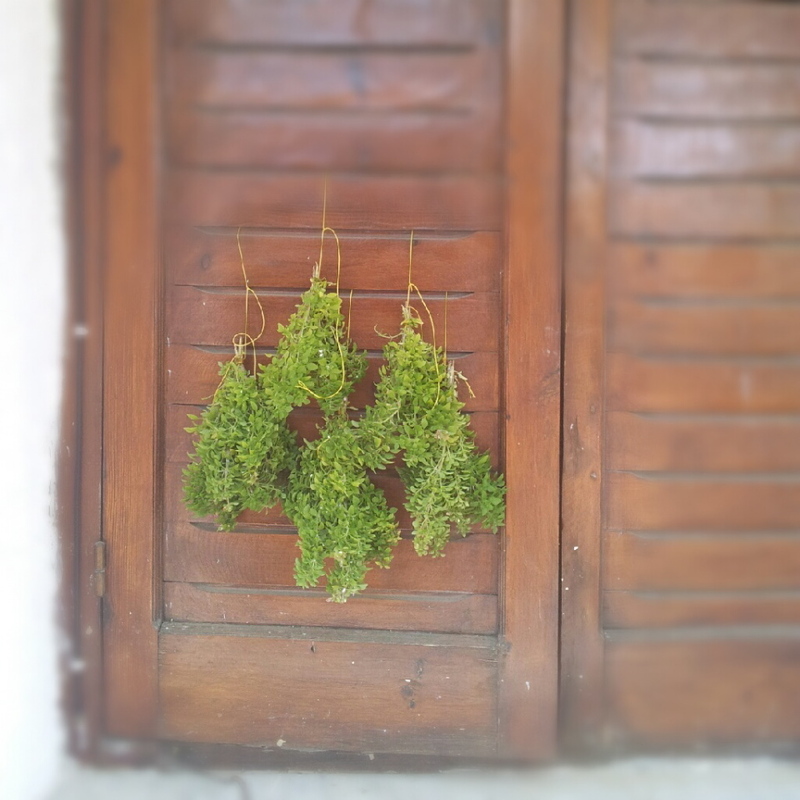 Needing a protective place to hang them to dry I borrowed the shutters on my husband’s office, consequently his office now smells of basil and lavender, incidentally the lavender also met the same fate. The pepper plants are about ready to dump a large number of peppers on us. It seems that the garden has teamed up in an Olympic like race and everything wants to cross the finish line at the same time. 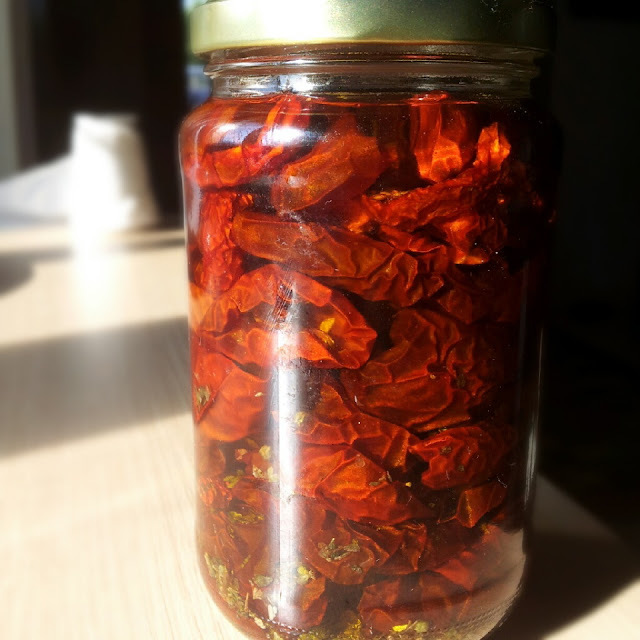 I suspect that the peppers will also meet the same fate as the tomatoes - sun dried and preserved in olive oil!